Russian State Expert Examination Board (Glavgosexpertiza) has announced that the floating nuclear power plant Akademik Lomonosov meets construction standards. The authority said on 9 December it had approved the project in Russia's northernmost city of Pevek that is being funded by Rosenergoatom, the nuclear power plant operator subsidiary of Rosatom. 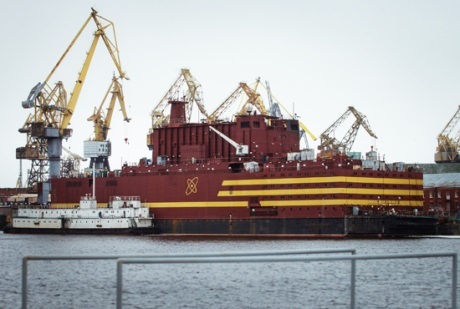 Currently moored at the Baltiysky Zavod shipyard in Saint Petersburg, Akademik Lomonosov houses two 35 MW KLT-40S nuclear reactors, similar to those used in Russia's nuclear-powered ice breakers. "Having examined the materials submitted, Glavgosexpertiza has reached the conclusion that the design documentation and the results of engineering surveys on the facility comply with technical regulations and other established requirements," Glavgosexpertiza and Rosenergoatom said in identical statements. "The project's design documentation concurs with previously conducted engineering surveys," they added. Glavgosexpertiza has also "determined that the estimated cost of the project is sound", they said. Russia's "unified energy system" covers about 15% of its territory and the use of nuclear energy is the "most optimal way" to provide heat and energy to remote areas, which occupy about half of the territory of the Russian Federation, they said. The keel of Academik Lomonosov was laid in April 2007 at Sevmash in Severodvinsk, but in August 2008 Rosatom cancelled the contract - apparently due to the military workload at Sevmash - and transferred it to the Baltic Shipyard in Saint Petersburg, which has experience in building nuclear icebreakers. New keel-laying took place in May 2009 and the 21,500 tonne hull - 144 metres long, 30 m wide - was launched at the end of June 2010. The two 35 MWe KLT-40S reactors were installed in October 2013. Ships carrying cargo to support Akademik Lomonosov arrived at the port of Pevek, in the Chukotka district of Russia, in October last year. The plant is to be towed to Murmansk in May, be loaded with fuel in October and commissioned in November next year.